JEECUP 2019 Admit Card will be available very soon. UP Joint Entrance Examination (UPJEE)-2019 Entrance Examination for admission to Polytechnics for session 2019-20 will be held on 26 May 2019(Revised). JEECUP (Joint Entrance Examination Council of Uttar Pradesh) conducts State level Polytechnic Entrance Examination in Uttar Pradesh. It is also popular as UPJEE or UP Polytechnic Entrance Exam. Dates of UP Polytechnic form 2019 and examination is announced by the council. 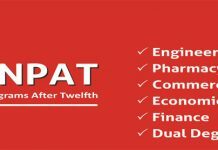 It is conducted by the Uttar Pradesh Board of Technical Education (UPBTE). 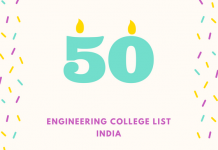 However, JEECUP 2019 is organised for offering admission to Polytechnic Institutions in Diploma, Post Diploma and PG Diploma programmes in the Engineering, Technology and Management fields. Here we are providing details about JEECUP 2019 (UP Polytechnic) including the Application form, Important dates, Eligibility, Paper pattern, Syllabus, etc. Exam Level: State level Polytechnic Entrance Exam. Conducting Authority: Uttar Pradesh Board of Technical Education (UPBTE). JEECUP 2019 Admit Card will be available very soon. Online Application Form of JEECUP 2019 is available from 20 December 2018 onward. And last date is 31 March 2019(Extended). 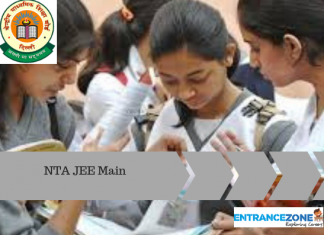 JEECUP 2019 Entrance Examination for admission in Polytechnics for session 2019-20 is scheduled on 26 May 2019(Revised). Given below are some general information about the JEECUP Admit card. Aspirants need to read them carefully to clear all doubts regarding it. The Admit Card will be available from the Second week of April 2019 onward. Candidates can download the admit card for all groups from the official website. Admit card is the most important document required for appearing in the offline exam. 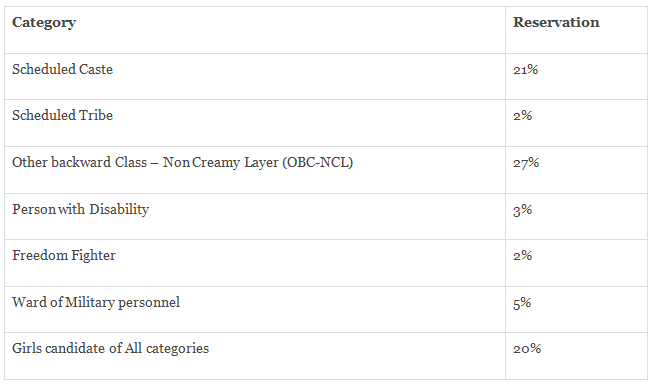 The JEECUP admit card carry important details like the roll number, exam centre details, and time and day of the exam. Candidates can keep the Uttar Pradesh Polytechnic Admit card for future use. Given below are all the important instructions and information an aspirant must be notified about. For any misconception, the candidate can visit the official page of UPJEE (Polytechnic) 2019. How should I apply for JEECUP 2019? Firstly, the application form will be available only in online mode. Moreover, it is available from 20 December 2018 onward. The last date of form submission is on 31 March 2019(Extended). After filling the form, the candidate must keep the print out copy of the confirmation page for further reference. Similarly, Candidates have to fill their personal details, academic details, communication details and other documents with the proof of fee in the application form. JEECUP Application Form for Correction 2019 dates will be started from 15 – 18 March 2019. Aadhaar card is mandatory to fill the Application form. A candidate is supposed to make an order to make his/her candidature eligible to sit for the exam. Moreover, Students have to pay Rs. 300/- and Rs. 200 for SC/ST candidate. E-Chalan: the fee can be submitted from any branch of the State Bank of India. The UP Polytechnic Entrance Exam syllabus will be of 10th or 12th class standard. Candidates must refer the officially prescribed syllabus given in information brochure. For Polytechnic Engineering, the syllabus is comprised of mathematics, physics and chemistry (PCM) subjects. For Diploma in Pharmacy, questions are generally asked from physics, chemistry and biology/ mathematics subjects. Syllabus: From the board of exam qualified. Mode of Exam: UPJEE 2019 entrance exam is organised in Offline mode only. Language: The medium of the question paper is English & Hindi. Duration: The time duration of the exam is 3 hours. Marking Scheme: 4 marks for a correct response. Negative Marking: 1 mark deduction for a wrong response. The exam centres of JEECUP 2019 (UP Polytechnic) is likely to the last session, this session too the exam will be conducted in all the districts of Uttar Pradesh. However, in such cases where a particular district is unavailable due to some unavoidable circumstances, the candidate will be allotted a JEECUP 2019 exam centre in a nearby district. Also, once a district or exam centre of JEECUP has been chosen, requests for a change will not be entertained by exam authorities. Candidates can check Uttar Pradesh Polytechnic Entrance Exam 2019 Answer Key via online mode. The answer key will be released in within a week after the examination May 2019. Candidates can check the answer key by entering their ‘Roll Number’ and ‘Question Booklet Number’. With the help of the answer key, candidates can calculate their rough marks and compare with the final result. Go to the official website of JEECUP. Click on the link ‘Click Here’. The new page will be opened on the screen. After clicking on that link, enter your roll number & question booklet number. Thereafter click on the ‘submit’. Download it and save it on your PC for further use. Now verify your answers with the actual answers printed in the answer key. The result of JEECUP 2019 exam will be released via online mode. It will comprise of the actual marks obtained along with the rough status of those who are eligible to appear for counselling. A tentative temporary score can be obtained from the answer key. In June 2019, JEECUP 2019 results will be announced. No Rank card will be sent to the candidates through Post/Courier. How to download JEECUP 2019 Result? Go through the official link. Fill all the required details like Roll Number & Date of Birth. Click on ‘Submit’ after entering all the details. After the publication of the rank list, JEECUP 2019 Counselling procedure will start. The documents will be verified at the time of counselling/admission process. The time of counselling, candidates will able to make their selection of course & colleges on the basis of the candidate choice, reservation and rank list, The candidates will get admission through the counselling process. If the candidate failed to submit the authentic documents they will be not considered for counselling/admission. During the admission procedure, Students have to carry the authentic document with the allotment letter. After the completion of the counselling procedure, The Candidates have to report to the allotted college within a mentioned time. Documents will be verified at the time of admission. If a candidate fails to appear in the admission process in the given time period, the seat will be allotted to the other candidate. Stay Tunned about Uttar Pradesh Polytechnic Entrance Exam Here. jeecup.nic.in 2019, up polytechnic exam date 2019, jeecup online form 2019, up polytechnic 2019, up polytechnic online form 2019, jeecup sarkari result, jeecup syllabus. mujhe previous year papers chahiye. What is the Pass Mark for polytechnic? The minimum pass mark is 40 marks out of a total of 100. A minimum of 30 marks out of 75 must be secured in external and 40 out of 100 in theory subjects. How many seats are available in Polytechnic? There are more than 8000 seats available in all colleges of Polytechnic.